Bob Mackey, Boys & Girls Clubs of North Central Georgia CEO & President, and Claude Grizzard, BGCNCG Corporate Board Chairman will both celebrate their birthdays with a Birthday Extravaganza Fundraiser, where Grizzard, left, will walk 30 miles for pledges and Mackey, left, will lift up to 500 lbs. for pledges. Boys & Girls Clubs of North Central Georgia will be celebrating the birthdays of two special people October 27 in Madison with a fundraiser – but for one of its participants – it’s also a marker of continued dedication. 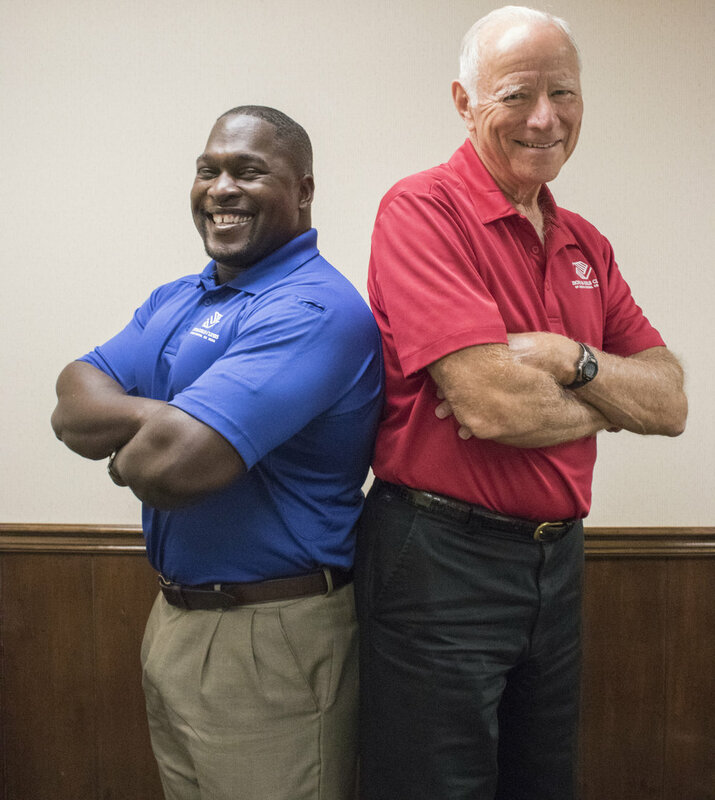 Claude Grizzard, Boys & Girls Clubs of North Central Georgia Corporate Board chairman, will turn 80 October 29 and Bob Mackey, BGCNCG CEO & President, will turn 35. The birthday fundraiser, an idea sparked by Grizzard, is a way to put BGCNCG’s core characteristics to the forefront. One of the many pillars of which the organization highlights for youth is being active. For Grizzard, it made sense to do a joint fundraiser where he has committed to walking 30 miles and Mackey will lift up 500 lbs. Grizzard, a recipient of the Boys & Girls Clubs of America Champion of youth award, has been with Boys & Girls Clubs for 57 years. His dedication to the movement has been his lives work philanthropically. Bob Mackey will be lifting up to 500 lbs. to celebrate his birthday at noon inside Madison Fitness, which is located at 1290 Eatonton Rd in Madison. Pledges will be made for every pound over 400 lbs. After the lift, there will be lunch and fellowship to celebrate these two BGCNCG champions birthdays. And, you may be asking, ‘Why give to such an occasion?’ – Grizzard has an easy response to that question. If interested in pledging your support toward the birthday fundraiser, email Dona Franks at dfranks@bgcncg.comwith the amount you are willing to pledge. After October 27, you will receive an email with the outcome to the events and what you owe toward your pledge. BGCNCG is an organization in rural Georgia consisting of six counties located in Putnam, Newton, Morgan, Greene, Jasper & Walton. To learn more or donate online, visit www.bgcncg.comor call 770-267-8034. Simply enter in “Birthday Celebration Fundraiser” under in honor of while checking out and you’re pledge will be entered automatically.